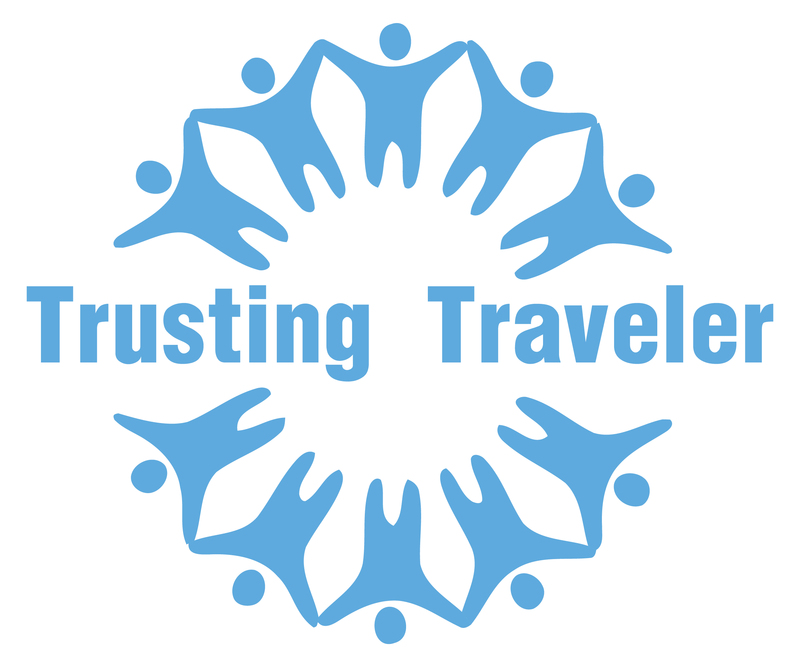 I’ve been wanting a Logo for a few months now, since starting the Trusting Traveler Website, but like most new start ups, I have to be careful where to put my two cents. Well after doing a lot of reading about the importance of personal branding, I decided I couldn’t afford NOT to purchase my brand logo. First I am a huge fan and supporter of the sharing economy, so I wanted to test it out in a new area – technology. What better way to do that than by sharing my need for a professional logo with a group of peers with a need to share their technical expertise. 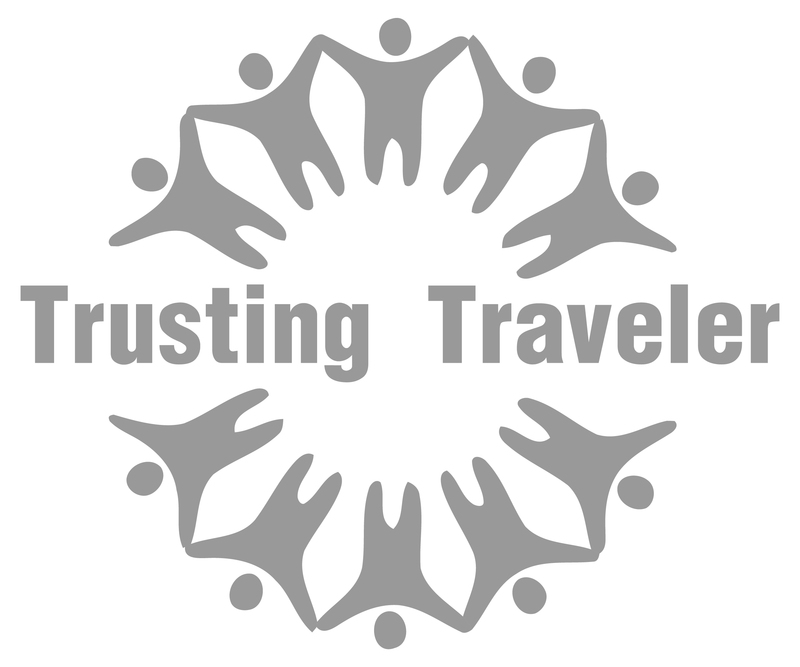 Note, with the exception of a nominal fee to the facilitator, Design Crowd, for use of their platform, this collaboration was strictly between me and each of the designers who chose to participate in creating the Trusting Traveler logo. Second, I love the fact that I would be receiving designs from so many creative designers, not just one; and because of that, I would likely have many unique logos to choose from. Third, I love that both myself and the chosen designer,alone, would benefit rrom this peer to peer transaction. I’d get a professional design at a great value and he/she would get the full design fee. I love that the money exchanged stays “down low” where it should be, between only those involved. I’m no fan or supporter of so called “trickle down” economics. So how did it play out -this experience using Design Crowd? It played out great! At least on my end, and hopefully on the other end as well. Let me explain. I caught a 50% sale on Design Crowd, and paid only $27.63 to post my design project. I chose a design fee of $200 to go to the one winning designer. So, I paid a total of $227.63 for my logo. Over 20 designers worked on my logo with specifications that I provided,and updated and the project proceeded. I received over 40 original designs and 125+ total design revisions. I loved at least a dozen of the designs and had a very hard time narrowing it down to three. 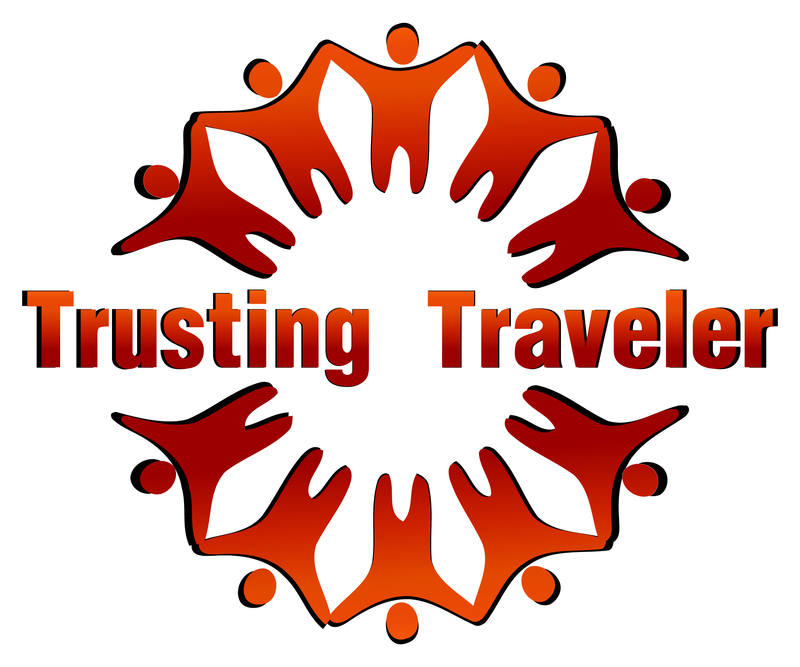 I finally selected the one you see here in my post and ‘plastered’ on the wallpaper on the Trusting Traveler website. It’s friendly and cheerful; it offers a visual double entendre (it’s a people chain, and also a flower motif); the shape of it will fit in tight places, as an avatar, etc…; it looks good without any fancy color effects, and even looks great in all white or all grey scale on a dark background. It’s also really simple, easily understood, and in a variety of different colors it will be appealing in any application – AND will still be recognizable. 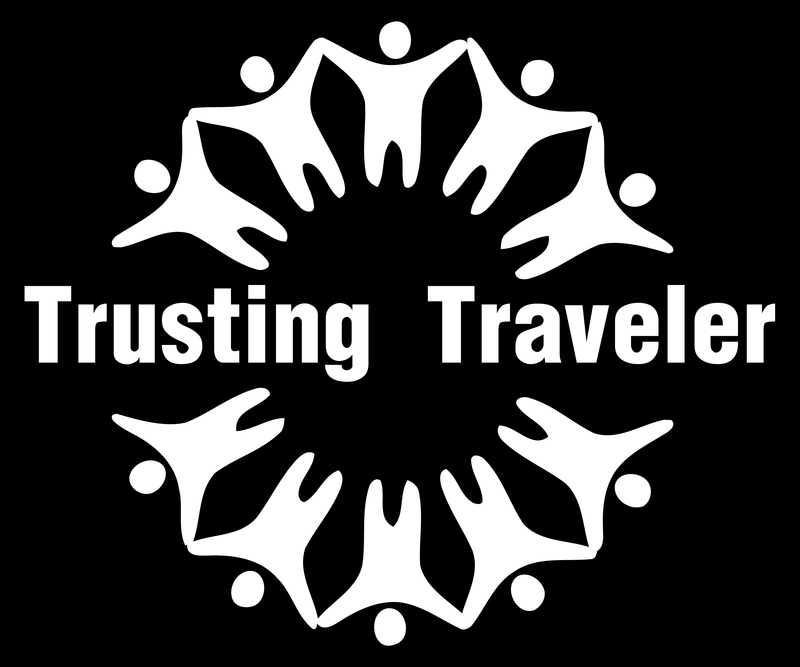 Anyway, all these things made it the perfect choice for my Trusting Traveler logo. I love it, and that’s super important to me too! There are many great options to choose from on the Design Crowd platform when you establish your project. My favorite was this; you can opt to have your design fee (not the posting fee, the desing fee which was $200 in my case) be fully refundable in the event you do not find a design you like. I chose this; but as soon as I saw that I had several winning logos to choose from, I guaranteed the design payment. I was told that this would attract more designers. It did. You can also set up the duration of the project, I chose 10 days, which actually seemed like an eternity. I may have preferred a shorter duration. There is a lot of back and forth between you and the designers, or there should be, and it got quite exhausting after a while. Please not that the designers who earn the most will be listed first in the designer results. You will see how much they have earned on the platform, their rank, their customer satisfaction %, etc.. Note: if designers are new, I assume they start at the bottom and work their way up. If you have a low price tag project like my logo, $200, you probably won’t attract the top ranked designers. Do not fear, give the lesser ranked designers a chance. It does not mean they are not qualified or talented designers and the upside is that they will probably work a lot harder on your project. That is what I found. I highly recommend using Design Crowd for your Logo Design Project, and don’t hesitate to use my favorite logo designers on your project. If you have any questions about my experience, please post them below. I would be happy to assist you. 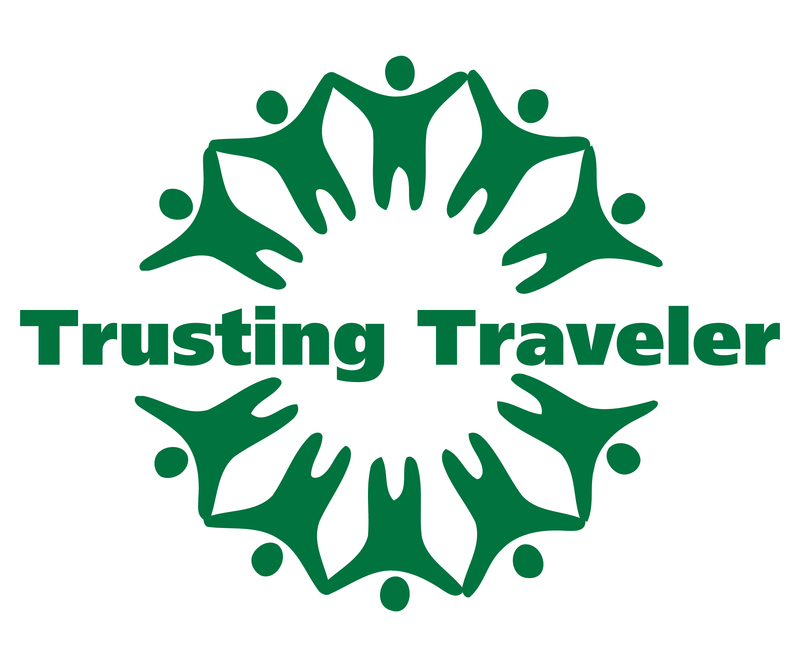 This entry was posted in Uncategorized and tagged design crowd, logo design, peer sharing; collaborative consumption; peer to peer; economy; design crowd, peer to peer, starbucks, trusting traveler, twitter, visual double entendre. Bookmark the permalink. Thanks for using DesignCrowd to crowdsource your blogs new logo. Thank you for writing such a detailed post about your experience on our site.The post is chock-full of great insights and tips on how to successfully manage a business design project. I was meaning to let you all know about this post; had not gotten around to it yet. I’m glad it found you! It really was a great experience and I’m looking forward to trying it again it the future. What do you think of my new logo – I love it!